My running has progressed to a point I frankly never thought I would see. Over the years I have run I have all too often been plagued by injuries; injuries which led to depression and the ultimate cessation of running. 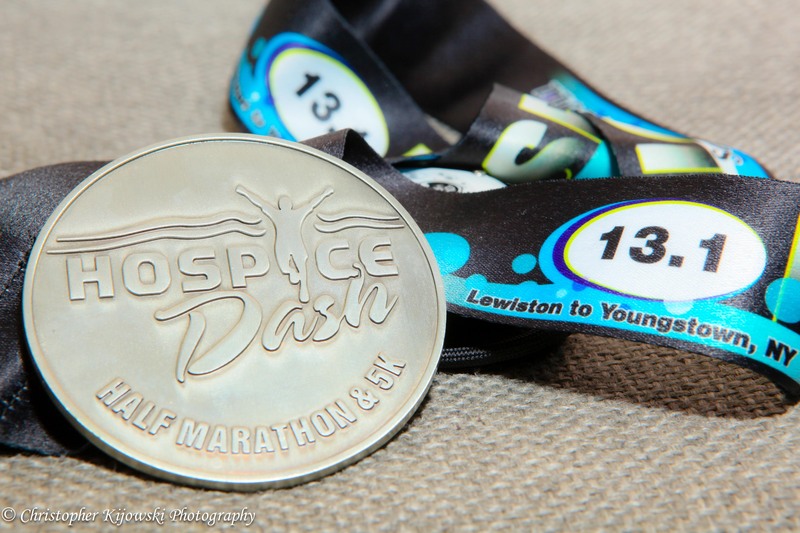 Several weeks ago a friend on Facebook announced a half-marathon which would be taking place in Lewiston, NY. The race itself a fundraiser for Niagara Hospice. I navigated to the Niagara Hospice website and assessed the date. The distance was very doable as my longest run to date was just one mile less than the race total. The date also fit my schedule. The decision to run the race became easier when I saw you could “run in memory of someone.” I signed up, paid the entry fee and filled in the “running in memory” section. I would dedicate my first half-marathon to the memory of my grandmother Stella. My grandmother passed away four years ago. She was a central and very important figure in my life. Running has become an important part of my life so this race was a natural fit. As my running has progressed I have embraced the run and learned to let go of my times for they are not what is important. My willingness and ability to get up, lace on my running shoes and put on some miles every day is what is important. The reward is not the time as much as it is the solitary sensory experience of the run. As I ran yesterday I thought of my grandmother numerous times. I thought of her early rising, never complaining, continuing her own life after my grandfather’s death in 1984 (my mother would remind me later the race day coincided with my grandfather’s birthday) her hard work and effort in the face of some pretty unhappy and difficult times in her life. I ran my race; comfortable but also pushing myself to be better, a better person for running helps me to accomplish this. As the mile markers ticked off the miles completed, I felt the duality of life crashing down on me. Thoughts of stopping and walking entered my head from time to time. I knew I could accomplish the distance and walking for a brief period of time would make my effort a little easier. When these thoughts crossed my mind, so did thoughts of my grandmother and of Jamey Rodemeyer. As I thought of both, thoughts of stopping and walking to ease my effort slipped away. Instead I found my posture becoming straighter, my arm swing less. There became a renewed sense of following through and completing the race. I rounded the final turn and in the distance 1/2 mile away I could see the finishing banner. My speed increased. I crossed the finish line and clasped my hands together. I looked up toward the heavens and thanked my grandmother for a life shared. I completed the race in 2-hours and 12-minutes…just two minutes slower than I had thought I might finish. I was happy with my my effort.